Enjoy your summer afternoons with one of these terrific fabric hammocks. 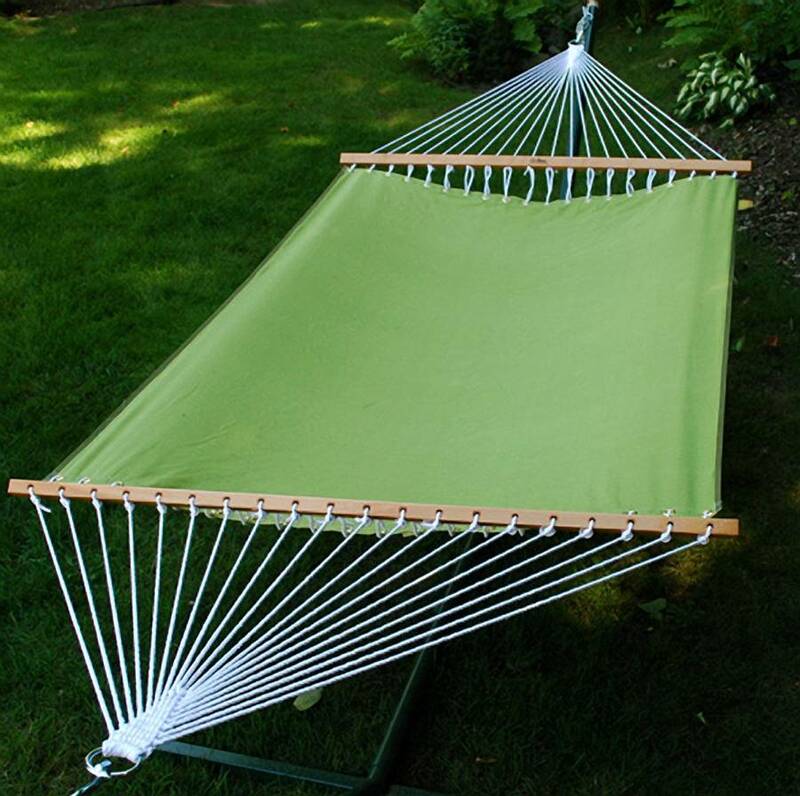 The Single Fabric 11ft Hammock by Algoma Net Company will help you do just that. This colorful fabric hammock measures 11 feet in overall length. Each hammock bed is 52 inches wide by 80 inches long and is made with a spun Polyester blend, weather resistant fabric to keep your hammock looking good summer after summer. 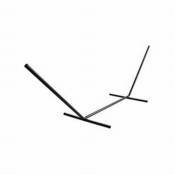 Hammocks have a non-tilt, sculptured pocket design and hardwood spreader bars. The clewed ends are poly rope, and the hardware is outdoor plated for protection. Every hammock has a weight capacity of 300 pounds. Fits on the Algoma Hammock Stand model #4782 which is not included. Available in your choice of the fabric colors listed below.